There are thoughts on collecting books, decorating and preparing for the season, St. Nicholas, Hannukah, family traditions, the Nativity, Epiphany and the Angels. And it's not just for Catholic families. So click away from here and go see Cay. 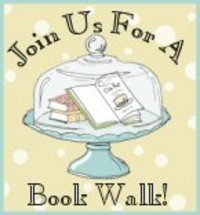 You want to win this Cajun Book Walk! Update: The Book Walk is a marathon and they'll be walking through the weekend;-). So, you still have plenty of time to win these great prizes!